When General Motors recalled 2.6 million Chevrolet Cobalts, Saturn Ions and other small cars worldwide for faulty ignition switches in 2014, it had the daunting task of figuring out where they were, given that most were old enough to have already changed hands several times. Then it had to persuade the owners to go to a dealership for the repair. But four years later, 92 percent of the cars that GM believes still exist outside a junkyard have been fixed globally, as have 96 percent of those in the U.S. Though that's short of CEO Mary Barra's stated 100 percent goal, it's considerably higher than the average repair rate for automotive recalls — and far better than most campaigns involving vehicles that were out of production. GM employees still are trying to chase down the roughly 170,000 holdouts, even though enough time has passed since the recall that the company no longer has to show regulators that it's making progress. "It's really down to pick-and-shovel work — checking individual VINs to determine: Is the vehicle even still on the road?" said Tom Wilkinson, a GM spokesman. The effort isn't limited to the ignition switch recall, which four years ago spurred GM and other automakers to dig through latent case files for safety risks that got buried by corporate bureaucracy, missteps or indifference. GM alone issued nearly 27 million recall notices in the U.S. in 2014, when the auto industry shattered its previous record with more than 50 million vehicles recalled. That compares with an average of about 75 percent for all U.S. recalls, according to regulators at NHTSA. Five of the 20 GM recalls, such as oil cooler fittings on about half a million 2014-15 full-size pickups and SUVs, have repair rates of more than 98 percent. But some have rates well below average, even after excluding vehicles GM has written off as scrapped because they've disappeared from state registration databases. For the largest recall of 2014, covering faulty ignitions on 5.9 million Chevy, Pontiac and Oldsmobile cars going as far back as the 1997 model year, just 46 percent have been fixed. The result is that, despite GM's exhaustive efforts, millions of vehicles recalled in the grim aftermath of its ignition switch crisis remain unfixed even now. While that's not surprising, it shows that the potential danger posed by defects can linger long after a recall, with repair campaigns reducing the risk to the public but never eliminating it completely. Nearly four years after GM recalled 2.4 million midsize sedans for a brake defect, a quarter of them haven't been fixed. 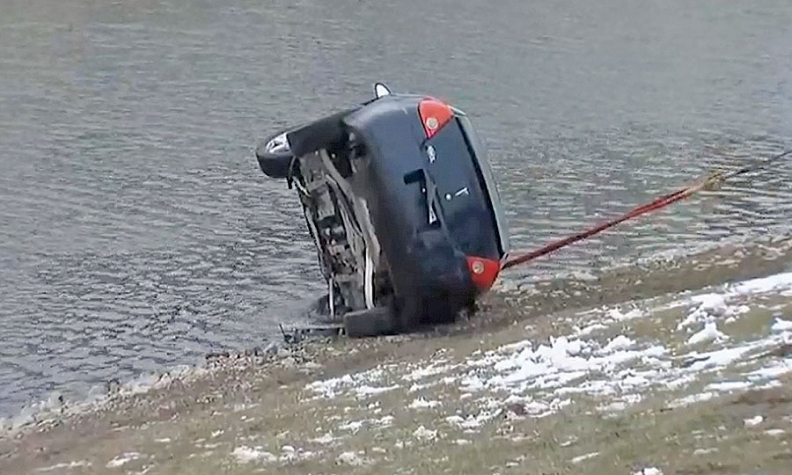 Anthony Burgess died saving his daughter from a 2008 Pontiac G6, below, that rolled into a retention pond. It hadn't been fixed for a brake defect. 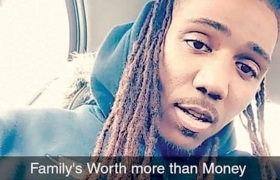 In March, 24-year-old Anthony Burgess drove one of the cars, a blue 2008 Pontiac G6, to an apartment complex near his home in northeast Indianapolis. After Burgess parked and got out to talk to a friend, the G6 rolled into a retention pond with his 3-year-old daughter, Amina, inside. Burgess, despite being unable to swim, jumped into the cold water and rescued Amina from the car. He managed to hand her to a bystander who had entered the pond to help, but then he disappeared under the surface and died. When the G6 was towed out, its gearshift was in neutral. The Indianapolis Star reported that investigators think the girl accidentally knocked it out of park, even though that shouldn't be possible without pressing the brake. But NHTSA records for the vehicle identification number listed on the police report show that the car never received the brake recall repair. A transmission recall from 2012 also was unresolved. GM's defect notice for the 2014 recall warns that one consequence is "brake pedal application may not be required to move the shift lever out of PARK." Burgess' family is suing GM. Their attorney, Dan Chamberlain, told Automotive News that Burgess' fiancee bought the car almost two years ago at a buy-here, pay-here store, had it serviced regularly and recently got new tires installed but was unaware of the recalls. "They never knew it," Chamberlain said. "The car worked great. They didn't have any issues with it." Wilkinson said GM is not commenting on the incident because of the lawsuit. Chamberlain said GM has denied responsibility for the car because it was made before the company's 2009 bankruptcy. 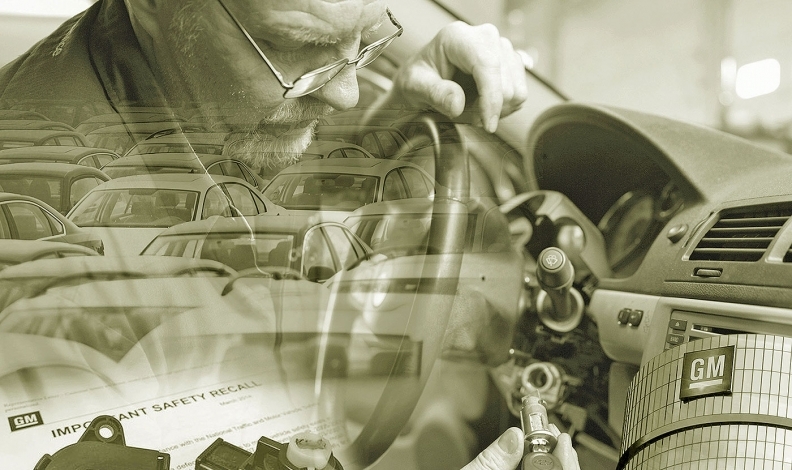 In general, the older a vehicle is when it's recalled, the less likely it is to receive a repair. Even if the manufacturer can locate the vehicles and notify the owners, getting them to schedule an appointment at a dealership and take the time to go in is no easy task. Many owners of vehicles more than a few years old bought them at used-car lots or via a private-party transaction and don't have an ongoing relationship with a dealership. Some don't trust dealers, even when a recall repair is touted as free. "These are people who are no longer in the new-car ecosystem," Wilkinson said. "They're not used to going to new-car dealers for anything. It can be a very intimidating experience. Once you're out of that ecosystem, then it starts to get harder to get recalls completed. That's why it's really helpful to find things early in the life cycle of the vehicle." The Alliance of Automobile Manufacturers says recall completion rates average 83 percent for vehicles less than 5 years old, 44 percent for those 5 to 10 years old and 29 percent for those more than 10 years old. The group, which represents the Detroit 3 and eight foreign automakers, surveyed vehicle owners to understand why they comply with or ignore recall notices. "Many consumers are doing their own risk assessments after receiving a notice and deciding if the recall seems important enough for a response," alliance spokesman Wade Newton wrote in an email. "Many survey respondents showed a reduced likelihood to repair a recalled vehicle if they perceived the recall to be 'low' or 'moderate' risk, saying it seemed to be 'no big deal.' We also saw that used vehicle owners are less likely to be motivated to respond to recall communications, even when they are aware of a recall on their vehicle." Many of the 84 recalls GM issued in 2014 involved older vehicles for problems that the company had learned about over the years but never adequately addressed for whatever reason. One example: 218,000 Chevy Aveo subcompacts from 2004 through 2008 model years were recalled because the daytime running-lamp module could melt or catch fire. Only about 35 percent of the cars that are believed to be still in use have been repaired. A report by the independent monitor overseeing the massive Takata airbag recalls reveals some of the challenges in locating and repairing older vehicles. The report cites mismatches between a vehicle's registered address and its actual location, language barriers and mistrust of automakers' recall notices, with some owners dismissing the letters as scams or attempts to sell them something. 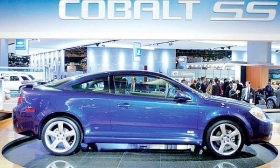 The Chevy Cobalt was one of the cars at the center of GM's 2014 recall crisis. GM had to overcome such obstacles to achieve a 96 percent U.S. completion rate on the recalls for faulty ignition switches, which could lead to engines accidentally shutting off while the vehicle was driven, cutting power to airbags, power steering and power brakes. The repair effort was helped, of course, by months of prominent headlines as the full extent of GM's failures over more than a decade became clear and as a compensation fund GM established approved claims for 124 deaths and 275 injuries. "That one got a lot of publicity and got on people's radar more than some others do," said John McEleney, who owned a GM dealership in Clinton, Iowa, at the time of the recall and is a past chairman of the National Automobile Dealers Association. But GM's elaborate outreach efforts clearly played a major role. The company offered $25 gift cards to owners who got their vehicle repaired by a certain date, used social media to engage owners, sent letters and made phone calls in Spanish when appropriate, and maintained a website dedicated to the recall. "That is certainly impressive for vehicles of that age," said Robert Levine, a senior manager at advisory firm Stout Risius Ross who studies recall issues. "It reflects a very dedicated effort to identifying and repairing these vehicles." GM continues to work on locating the remaining vehicles and encouraging the owners to have the repair done, Wilkinson said. "The goal is 100 percent completion on any recall," he said. Stout Risius Ross found that industry recall repair rates have been on the rise, and an increased number of campaigns in recent years — including those covering 50 million Takata airbags — has not significantly changed that trend. The firm's data show the median repair rate topping 80 percent every year since 2006, jumping to 85 percent in 2012 and staying there even through 2014, when the number of recalls surged. Levine attributes the gains to NHTSA's work promoting more consumer knowledge of recalls — including an online database that lets drivers search their VIN — as well as broader efforts by automakers to contact customers and encourage them to do the repair. "There is certainly an upward trend over that period," he said, "and it reflects the awareness of owners, as well as the position taken by the regulators and manufacturers' response to that position since some of this elevated activity began." Because of the ignition switch recall, GM remains under the supervision of a federal monitor, at least until September, as part of a deferred-prosecution agreement with the Department of Justice. A special period of safety oversight by NHTSA ended last year, but the automaker continues to communicate with the agency regularly and meets with officials there weekly, Wilkinson said. It has spent billions of dollars on the repairs, compensation to crash victims and families, fines and legal costs. Since the recalls, GM has restructured its product-development activities, using the aerospace industry and nuclear naval ships as benchmarks, Barra said in May. A program started by GM shortly after the ignition switch recall, called Speak Up for Safety, is helping the company find and fix problems sooner, Barra told Goldman Sachs CEO Lloyd Blankfein as part of the bank's "Talks at GS" series of interviews. It was designed to let employees report potential dangers anonymously, but few choose to hide their identity, which Barra said shows a culture of greater accountability for safety issues. "I consider myself the chief risk officer of the company," said Barra, who became CEO a month before the ignition recall started in February 2014. "I've got to be looking at what are we doing. We put a vehicle on the road that is a very powerful piece of equipment that can have really negative consequences. We have to be holding ourselves accountable that we're doing it right."